YOU are an athlete. We all are. I have over 30 years of athletic experience, including cycling, swimming, running, and ultramarathons and mixed with seriously awesome adventures, successes and failures. I want to work with ANY athlete struggling to get past walls and plateaus - even athletes that have been away for a long time or are just beginning on their quests to feel better, be healthier and want to keep moving forward. Let me be your inspiration. 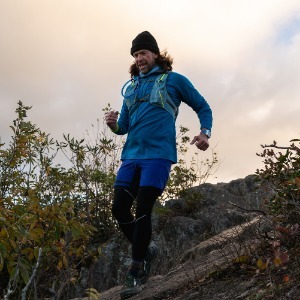 After many years of questionable athletic feats, including cycling from coast to coast, running in all sorts of mountainous and sandy conditions, I jumped into the world of Ultramarathons. My newfound love of time on my feet was interrupted in 2015 when I was diagnosed with multiple myeloma, a blood cancer that affected my bones and caused fractures in my spine. I attacked treatment like a pro, found a chemo plan that worked and found my way back to the trails. I have cycled from Coast to Coast and up and down both sides. I have run 1,175 miles from the Outer Banks of North Carolina to the Tennessee border on the Mountains to Sea Trail. I have battled cancer and still keep it at bay every day. But I keep moving forward and look forward to helping others do the same. Athletes must have an open mind, and must be prepared to dig deep! Success. Coach Kenny Capps has been notified of your message.